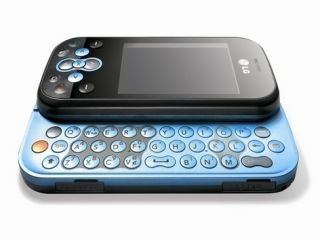 LG has announced its KS360 QWERTY handset, originally aimed at the Asian markets, will be making its debut here in the UK. The phone, which bears more than a passing resemblance to the Sidekick, is designed for all the usual email, social network, text and IM activities the kids of today are interested in. It doesn't pack 3G, instead looking at the EDGE and GPRS networks, which is surely a tip to its Asian 'poor 3G coverage' origins. The 2.4 inch screen rotates automatically to landscape when the keyboard is unleashed, which makes a lot of sense. Nothing else really stands out about a device that has Bluetooth 2.0, a 2MP camera, MicroSD slot and the usual MP3 or AAC playback options. Oh, it does come in titanium and blue, black and red, black and silver and white and red. Kid's will love that one. Get your grubby mitts on it from Orange or O2 this August.